David Hyland-Wood | Listening. Speaking. Writing. Humans are the most remarkable product of evolution on Earth. Our ability to get along with others in small groups better than any other species allowed us to dominate our planet. But we are utterly terrible at running a global, highly interconnected society full of people who look and act differently. We fear when we should not fear. We compete when we must cooperate. 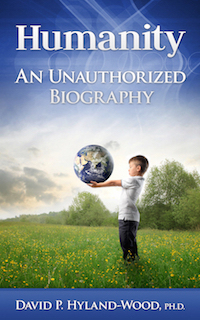 Humanity: An Unauthorized Biography asks whether we can survive the cost of our own simple desires, or whether we are inextricably headed toward a complete, and terrifying, societal collapse. Can we avoid warfare, competition for increasingly scarce resources, and our own prejudices long enough to create a better future? Multidisciplinary engineer David Hyland-Wood takes on the complexity of humanity using new findings in evolution, psychology, anthropology, and philosophy to describe our past, our present, and possible scenarios for our future. Culture, it seems, won’t be enough to avoid our fate. Hyland-Wood audaciously suggests that we may need to change ourselves to ensure our own survival. Written to be immediately useful to Web developers, this book requires no previous exposure to Linked Data or Semantic Web technologies. 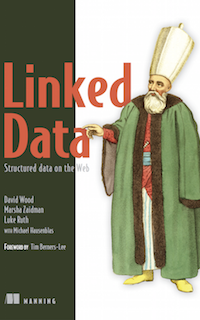 More Linked Data books are available at LinkedDataDeveloper.com. Enterprise data is growing at a much faster rate than traditional technologies allow. New enterprise architectures combining existing technologies are desperately needed. This book suggests a way forward by applying new techniques of the World Wide Web to enterprise information systems. 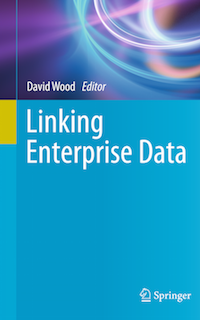 Linking Enterprise Data is an edited volume contributed by worldwide leaders in Semantic Web and Linked Data research, standards development and adoption. Linking enterprise data is the application of World Wide Web architecture principles to real-world information management issues faced by commercial, not-for-profit and government enterprises. This book is divided into four sections: Benefits of applying Linked Data principles in enterprise settings, enterprise approval and support of Linked Data projects, specific Linked Data techniques and a number of real-world success stories from early enterprise adopters. Linking Enterprise Data targets professionals working as CTOs, CIOs, enterprise architects, project managers and application developers in commercial, not-for-profit and government organizations concerned with scalability, flexibility and robustness of information management systems. Computer science graduate students and researchers focusing on enterprise information integration will also benefit. Linking Government Data provides a practical approach to addressing common information management issues. The approaches taken are based on international standards of the World Wide Web Consortium. Linking Government Data gives both the costs and benefits of using Linked Data techniques with government data; describes how agencies can fulfill their missions with less cost; and recommends how intra-agency culture must change to allow public presentation of Linked Data. Case studies from early adopters of Linked Data approaches in international governments are presented in the last section of the book. 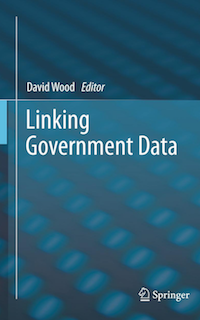 Linking Government Data is designed as a professional book for those working in Semantic Web research and standards development, and for early adopters of Semantic Web standards and techniques. Enterprise architects, project managers and application developers in commercial, not-for-profit and government organizations concerned with scalability, flexibility and robustness of information management systems will also find this book valuable. Students focused on computer science and business management will also find value in this book. The Internet’s "killer app" is not the World Wide Web or Push technologies: it is humble electronic mail. More people use email than any other Internet application. As the number of email users swells, and as email takes on an ever greater role in personal and business communication, Internet mail protocols have become not just an enabling technology for messaging, but a programming interface on top of which core applications are built. Programming Internet Email unmasks the Internet Mail System and shows how a loose federation of connected networks have combined to form the world’s largest and most heavily trafficked message system. 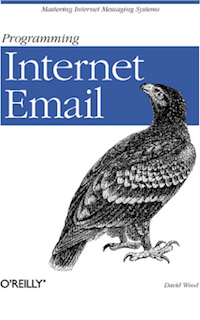 Programming Internet Email tames the Internet’s most popular messaging service. For programmers building applications on top of email capabilities, and power users trying to get under the hood of their own email systems, Programming Internet Email stands out as an essential guide and reference book. In typical O’Reilly fashion, Programming Internet Email covers the topic with nineteen tightly written chapters and five useful appendixes. Copyright © 2010-2019 David Hyland-Wood. All Rights Reserved.